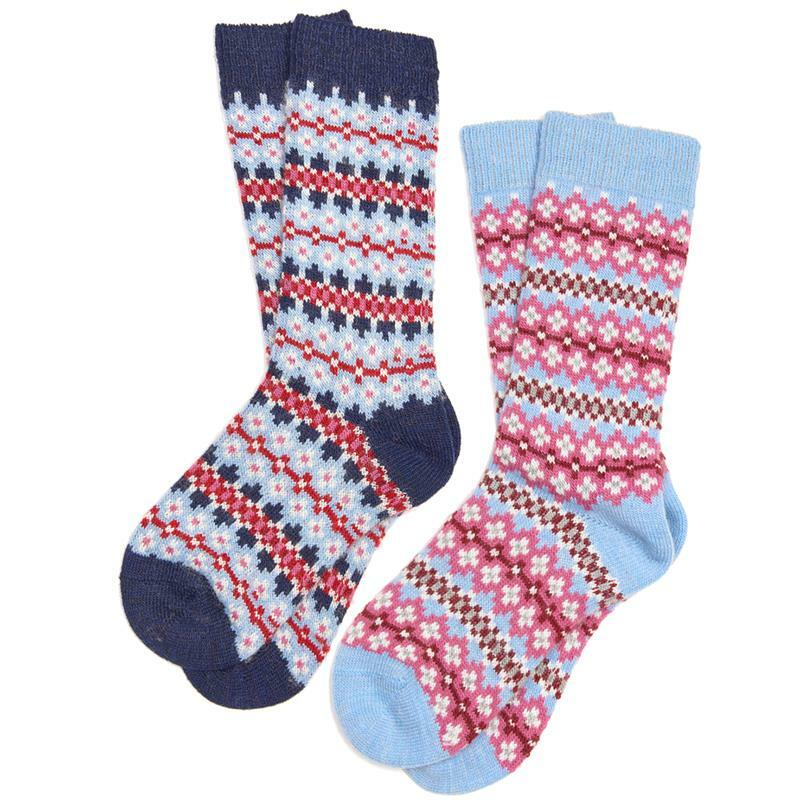 The Barbour Glacier Socks are an ankle-length style made from a soft wool blend with a traditional Fair Isle design, a contrast heel and toe and a comfortable ribbed top. The socks are made from 60% acrylic, 25 wool, 15% polyamide. Available in blue and navy.